The Dropbox file manager allows you to publish files to your website by simply putting them into the Dropbox/Apps/22Slides folder on your computer. Dropbox will automatically make these files available on your website. Sending a large file to someone: raw photos, zip files, your logo, or almost anything. If you don’t already have a Dropbox account, sign up with this link and get extra space for free. Go to the “Add-ons” section of your 22Slides control panel and enable the Dropbox add-on. On your own computer, anything you put in your Dropbox/Apps/22Slides folder will automatically appear in your file manager. To require a password to view a folder, place a text file named _password.txt inside the folder. 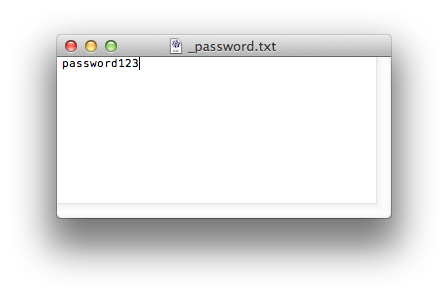 Inside _password.txt , type the password you’d like to require to view the folder. 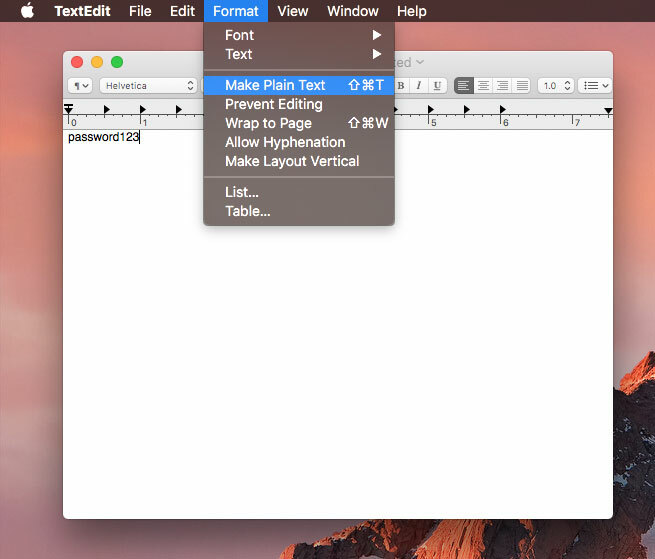 Note: If you're using the app "TextEdit" on a Mac, make sure you convert your _password.txt file to plain text before saving, by choosing "Make Plain Text" from the "Format" menu.  If you don’t like the default path of Dropbox/Apps/22Slides, you can rename/move the 22Slides folder to whatever/wherever you like, just as long as it’s still inside your Dropbox folder somewhere. Dropbox will automatically detect the changes and make adjustments to make sure everything still works. You can upload HTML photo galleries exported from Lightroom, Photoshop, or other photo management apps and publish them by placing them in your file manager folder. Dropbox is sweet. And, it’s free. Lots of people already have Dropbox accounts they use all the time. So it’s easy to continue to use Dropbox to manage the files on their website too. If you’re not already using Dropbox, you should be. It’s an incredibly useful tool for people that need to share files with others or keep files synced between multiple devices. It even works great as a backup service, so you can always retrieve files that have been lost. The backup feature alone is worth it.